Principal at AK Consulting from Jan. 2017. Campaign manager on Gov. Inslee's 2016 re-election, Oct. 2015-Dec. 2016. Director of external relations to Gov. Inslee, Jan. 2013-Oct. 2015. Deputy campaign manager on Jay Inslee for Washington, Jan.-Nov. 2012. Campaign director on Suzan DelBene for Congress, Jan.-Nov. 2010. Campaign director for No on I-1033, June-Nov. 2009. GOTV director for MoveOn.org, March 2008-June 2009. Associate and interim executive director at Futurewise, Jan. 2007-March 2008. Campaign director for No on I-933, Jan. 2005-Nov. 2006. Field director for Yes on 297, June 2004-Dec. 2005. Field director at WashPIRG, Aug. 2000-June 2004. B.A. in English, art history from University of Richmond, 2000. (reported by Politico Feb. 28. 2019) Executive vice president for political strategy for NextGen Climate for five years. [gap] Deputy CEO for intergovernmental relations for the 2008 Democratic National Convention Committee, announced April 12, 2007) Partner at Hilltop Public Solutions in Washington, DC. Campaign manager on Jim Pederson for U.S. Senate in Arizona in Fall 2006. California state director on Kerry-Edwards 2004, Inc.. Deputy campaign manager/political director for Sen. John Edwards' presidential primary campaign (announcement that she had joined the campaign came in March 2003) then ran his One America Committee. COO and political director of EdVoice, a California education and advocacy organization. In the 2000 campaign she was California state director for the Gore primary campaign, and Western Regional Political Director for the Gore/Lieberman campaign. Prior to the campaign she was Western political director for Leadership '98, Gore's leadership PAC. Gallegos worked in the White House Office of Intergovernmental Affairs. She served as deputy political director for the Clinton/Gore '96 campaign in California. B.A. in political science from Stanford University. Native of Colorado. (reported by Politico Feb. 28, 2019) Principal at Newman Partners "a top level consulting firm, focused on fundraising and strategy for progressive political campaigns in Washington state." (Feb. 2019) Western finance director (Mar. 2018-Feb. 2019) and Northwest finance director (Sept. 2017-Feb. 2018) at the DNC. Senior manager for donor relations at Evidence Action, Mar. 2016-Sept. 2017. Major gifts officer at Americans for Repsonsible Solutions, April 2015-Mar. 2016. Seasonal account mangare at Petel & Co., Sept.-Dec. 2014. Deputy national finance director on Hanabusa for Hawaii, May 2013-Aug. 2014. National finance assistant on McCaskill for Missouri, Feb.-Nov. 2012. B.S.F.S. from the Georgetown University School of Foreign Service, 2011. (Feb. 2019) Deputy finance director on Andrew Cuomo 2018, Nov. 2017-Feb. 2019. Development director at Ditto Consulting, Mar. 2013-Mar. 2017. Development director at Berger Hirschberg Strategies, 2011-Feb. 2013. B.A. in political science, business from Drew University, 2011. (Feb. 2019) Deputy campaign manager/finance director on Harder for Congress (CA), Sept. 2017-Nov. 2018. Executive assistant in the Office of U.S. Rep. Tom O'Halleran (AZ), Jan.-Sept. 2017. Deputy finance director and call time manger on Tom O'Halleran for Congress, Dec. 2015-Sept. 2017. Bachelor's degree in physics from Arizona State University, 2015. Jim Brunner. "Gov. Jay Inslee's 2020 presidential campaign announcement expected this week." Seattle Times, Feb. 27, 2019. Daniel Strauss. "Washington Gov. Inslee bolsters political team with eye on 2020." Politico, Feb. 28, 2019. - Inslee filed with the FEC to form a political action committee, Vision PAC, on Oct. 4, 2018; this was first reported in early December. 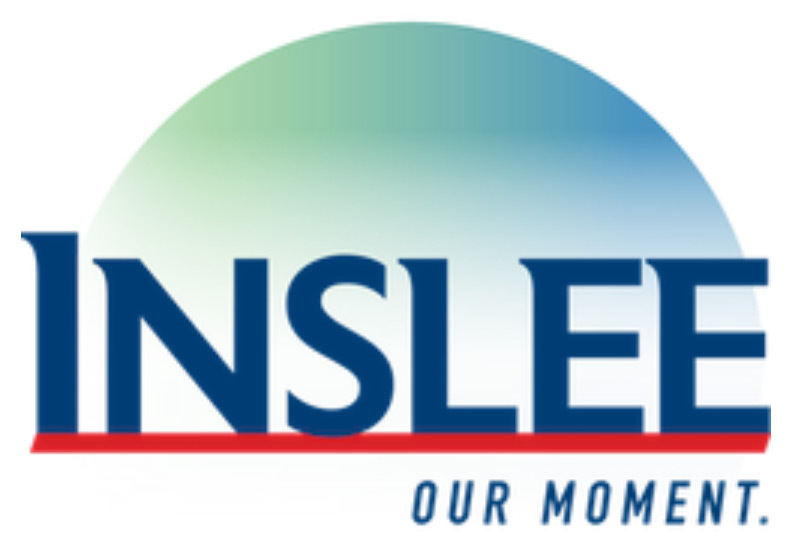 - Independent from the campaign on Feb. 21, 2019 a pro-Inslee super PAC, Act Now on Climate, launched.